JAP is a dynamic team with an entrepreneur spirit, dedicated to working hard to identify your logistic needs and implement viable solutions. We are committed to be excellent facilitators in the region and thus become a true partner of your organization, always attuned to your philosophy and vision. We are therefore in constant search for improvements and new horizons to win the loyalty of our customers. This drives our growth. 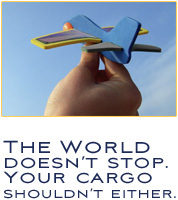 Together with our dedicated overseas network, JAP offers end-to-end freight forwarding service solutions. We manage vendors and suppliers on your behalf, and facilitate a seamless logistics flow of cargo, documentation and information from the point of origin to the final destination. To position our company in the region as a leader in transportation, logistics, and distribution. Continue to grow our network of integrated services and to implement the latest technologies in order to provide the greatest value and opportunity to our partners. Encourage employee leadership through constant training. Maintain an entrepreneurial position open to change and always at the forefront of technology. Promote a culture of transparency with our customers and suppliers.